What a ridiculously huge camera! This is a Pentax 67 I have recently acquired for use in landscape photography. 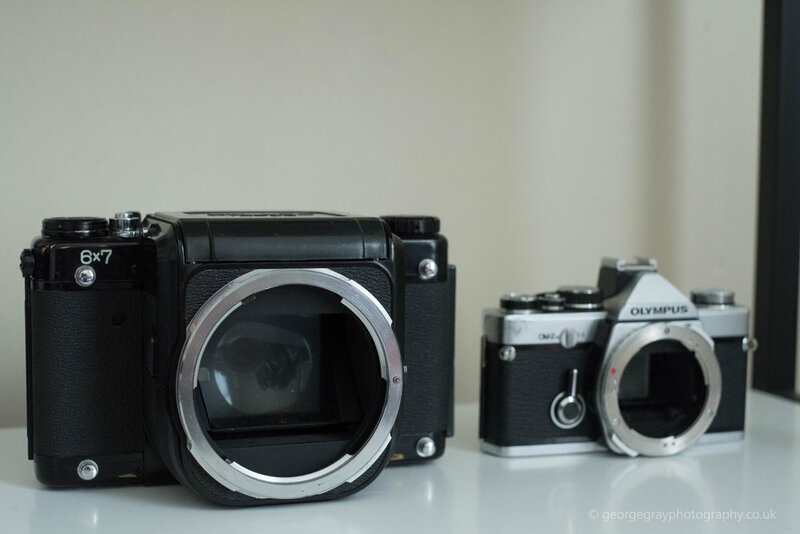 This camera shoots a huge negative of 6x7cm, packed with detail. I scan my film images from home and could achieve a resolution equivalent to more than 70 megapixels with one photo from this camera. Remarkable!